It was a grey rainy day yesterday and as I looked through the bleak square of window I thought about people in prison. For them it must look like that too with not even the hope that the view will be better tomorrow, so I started off writing a message of support to a man awaiting trial in Florida for taking photos inside the Marine Mammal Conservancy. Florida is one of those places that wants to have an "Ag Gag Bill" which would make it illegal for anyone to take photos on factory farms - the only way we have known about the cruel conditions under which much of our food is produced, so I thought it was pretty important to do that. At the same time, I got to thinking it would be even better to help to get someone released, so I started looking through some of the many petitions, especially about people who were arrested for trying to stand up for others or righting a wrong. There were many, far too many. Just a few are listed below. A big thank you too to all those people and organisations who have brought these things to our attention - like Amnesty, Change Org, Frontline Defenders, Care 2, and Human Rights Watch to name a few. Abdulhadi Al -Khawaja is the Director of the Bahrain Centre for Human Rights and the Front Line Human Rights Co ordinator for the Middle East and North Africa. After being detained and tortured, he was sentenced to life imprisonment on June 6th. Many medical professionals have also been given long prison sentences in Bahrain for helping the injured during the uprising and repression last February. Please give Frontline Defenders the Human Rights Organisation who is defending them, all the support you can. Can you wrap a building? It is particularly important for Europeans to do so as Abdulhadi is in fact an EU citizen. 14 human rights Organisations publish a letter to urge the Syrian authorities to reveal the fate of eight SCM members, who were arrested on 16 February 2012 during a raid on their Damascus offices." Meanwhile the killing and violence in Syria continues. It has been estimated that 8000 to 9000 people have been killed to date along with the Reporters Marie Colvin and Remi Ochlik. No foreign journalists are now allowed in and overtures by the U.N. have been turned down. Likewise Russia and China have vetoed a Security Council resolution asking President Bashar al -Assad to step down. ASK WORLD LEADERS TO TAKE ACTION NOW . A similar Petition calls on Russia on the Amnesty site. 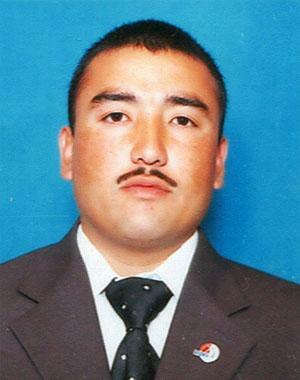 Jigme Guri is one of at least 850 prisoners known to have been detained in China. Many more are missing. Two hundred and three people were arrested just last year and many more are languishing in prison. There are many other cases of concern. You can also send some cheer by writing to prisoners. There are some guidelines Here. Front Line Defenders expresses serious concern over the lack of investigation into the reports of torture of human rights defender Azam Farmonov while in detention. "Let your voice be heard by defending the rights of others, or there may be no one left to defend yours"
Maybe we should all sign that one too. Click Here.